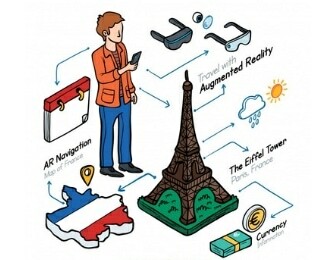 Augmented Reality – AR is an emerging technology that virtualize the elements / components from context to the real environment. With Augmented Reality app development technology, the user can deeply understand about the products and its details when compare to other normal applications. Our team offers to find the help you need to bring your vision to life with AR. If you have an interesting project to be developed using Augmented Reality Technology Choose us we can create amazing apps that adds value to your business.